Good Day For A Brisket Smoke! Posted: Sun Apr 28 13 1:44 pm Post subject: Good Day For A Brisket Smoke! 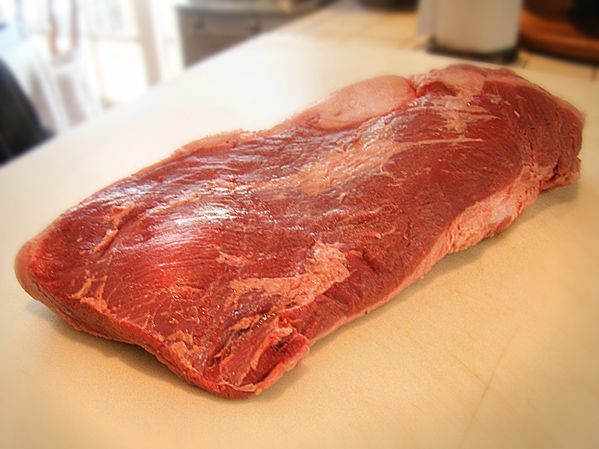 I picked up on sale a large brisket a couple of days ago and decided, with the early spring weather upon us (sunny & mid-80's here today), it'd be a great time to fire up the smoker for a good, long smoke. After some trimming (about 2 pounds of fat), time for some RUB. I keep a large jar of mixed rub I use for ribs, brisket, burgers, etc. in a large air-tight jar. 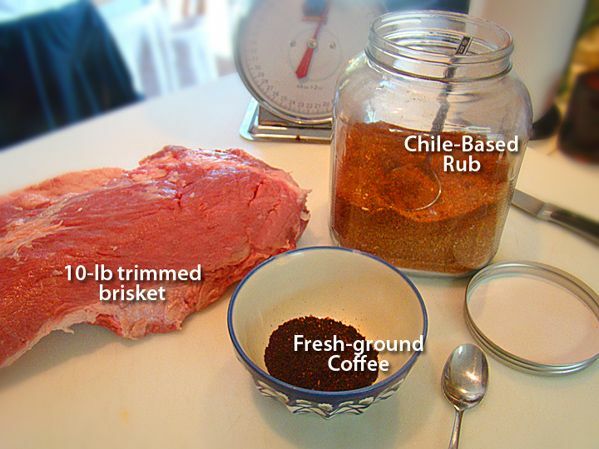 It's a fairly utilitarian rub mix— paprika, black pepper, ancho chile, cumin, salt, garlic powder, brown sugar—and on this brisket I'm adding about 2 tablespoons of fresh-ground dark roast coffee = a coffee/chile rub. 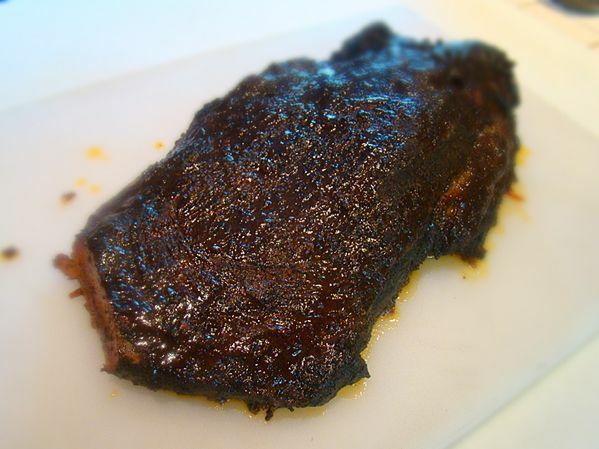 I put a nice coat of canola oil onto the brisket, and gave it a generous rubdown with the spice mix. 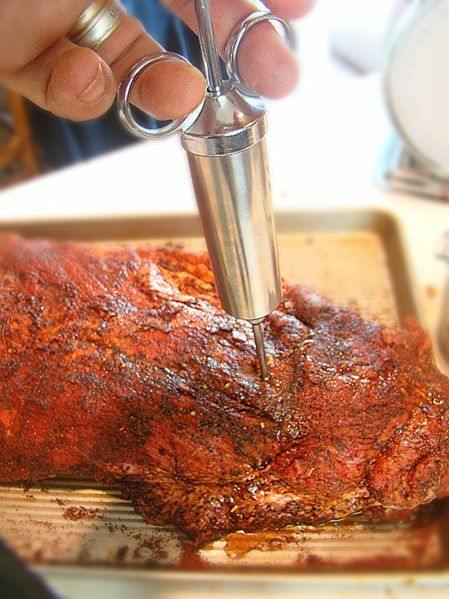 Injection Therapy: I injected into the brisket some good beef broth (about 1.5 cups total) using a stainless injector. 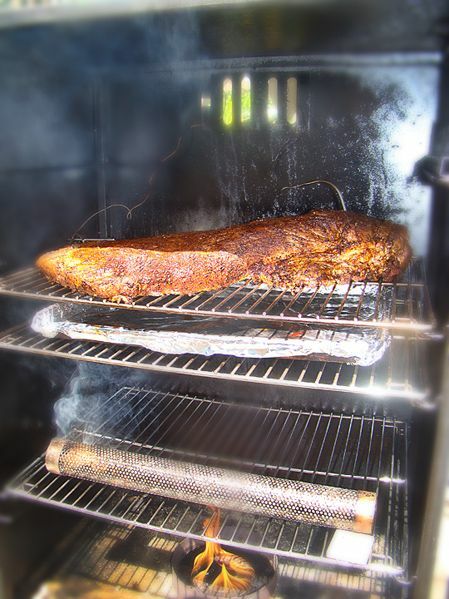 Prep the Smoker: I had to remove all my sausage-hanging paraphernalia from the smoker and did some rack-readjusting to accommodate the brisket, a drip pan, and a rack to hold the Amazen tube smoker. Preheated the unit, maverick dual-probes ready to watch both smoker and brisket temp, and so I inserted the brisket. I'm using the "Pitmaster's Blend" of pellets for this smoke. 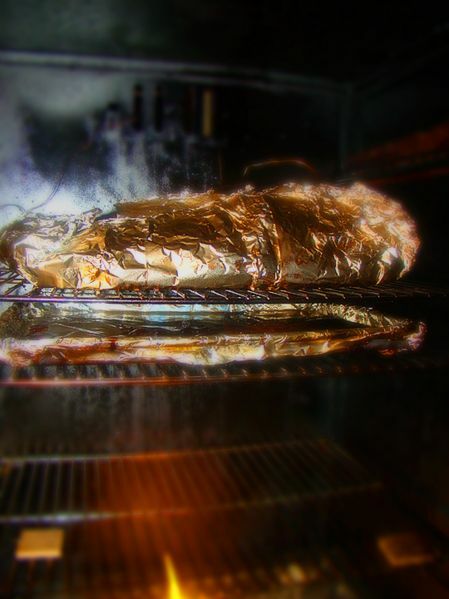 After about 2.5 hours at 225-235°F & good smoke application, I wrapped the brisket tightly in heavy aluminum foil, adding about 1/2 cup of the beef broth before sealing it up. 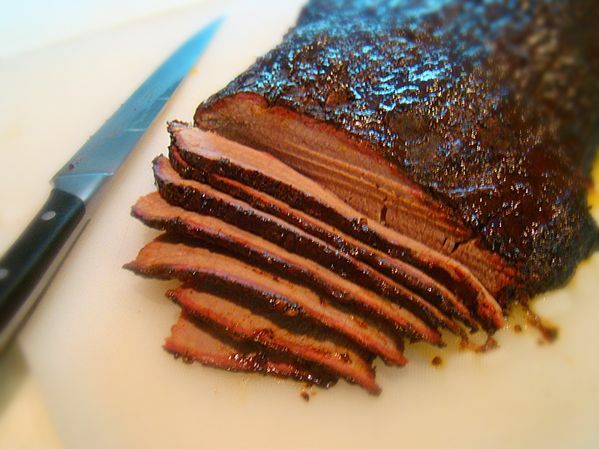 The brisket's temp is at 153°F. I'm still keeping an eye on this and it may still be awhile before the brisket hits the magic number. So, after eleven hours in the smoker, the brisket hits the 205°F mark. 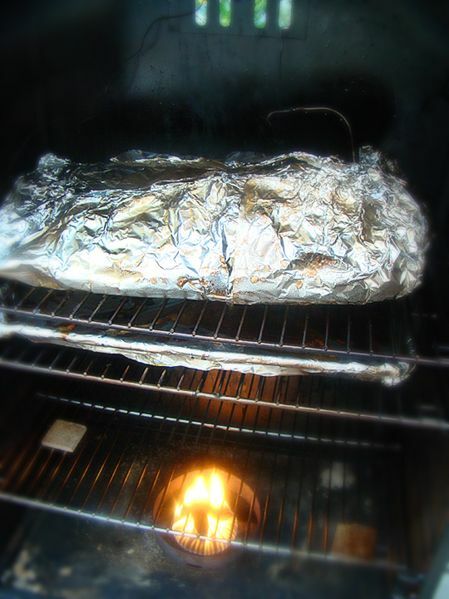 I wrapped the brisket well and let it rest overnight in the fridge. I heated & basted the brisket with BBQ sauce on the weber (plus 8 ears of corn on the cob) while the wife put together some fresh coleslaw. After about 45 minutes over medium heat, the brisket had a nice crust and glaze on the exterior. It sliced beautifully. Very tender and the bark has a nice spicy bite to it. Not nearly as 'smokey' as the overnighters I've done on the charcoal & wood WSM, but still tasty. This wasnt a 'premium' cut of brisket I used—but the price was really good. I think in the future though, I'll continue to use the WSM for both butts & briskets and use the MB for smoking sausages and the like.